Givin' you the trouble and strife. Not responsible for your pain. Blame it on my evil twin. But I swear we're not the same. I'm just a product of society. I learned it from T.V. You blame it on your parents or police. We would soon move to Oregon. Sell everything and move away. And we rode the horse that Bud bought. We took that trip again, my friend. Jimmy and Jesus under siege. Stuck in a twisted puppet show. Living in the house that Bud bought. We learned so very much back then. Trying to follow what our hearts were told. And the whole thing screwed us up for years. We would soon move from Oregon. Like a lump in the throat...incomplete. I've got the buzz on you. Whatcha gonna do when it's over? What's it gonna take to finally breakthrough? Keep up with the Media Slant. They're doin' the Media Slant. They must be members of some dark fraternal club. They hold their meetings while I'm soaking in the tub. Ruseau and Stalin must be cheering in their graves. I hear their rhetoric in everything they say. Another lonely day I'm looking at your picture. I love the way that you compare. I can't help but wanna stare. Another piece of coal I'll scratch you on the surface. I feel my heart begin to care. You'd look good with purple hair. I'm turning on the brights of my imagination. Another painful day I struggle with proportion. I'll work until I get it right. I'll change your face and I might even change your outlook. I'll make you wanna be alive. And I'll change you, I'm gonna change you. I'll turn it all to white- a simple alteration. Who was I to think we were the same? Snowy cold December where do I begin? 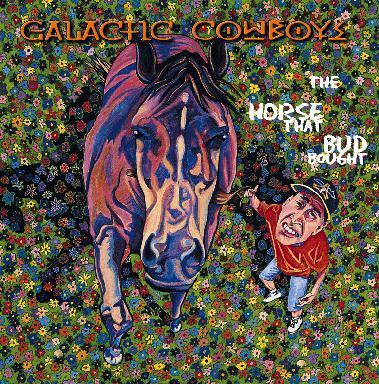 All songs written by the Galactic Cowboys.